Cruise ship PAP: First class or cattle class? or think that they are by Swiss standards. Steerage is the lower deck of a ship, where the cargo was stored above the open hold. During the early 1900s many immigrants were too poor to travel on the upper decks, with wealthy passengers, so they were cramped in converted cargo spaces which provided the lowest cost and lowest class of travel. 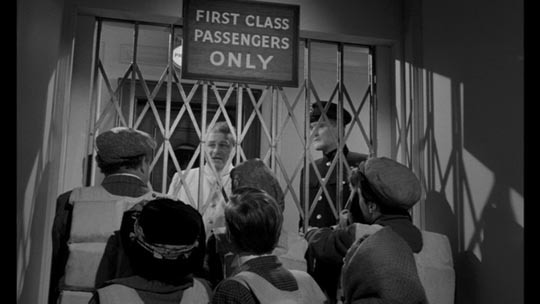 The living conditions on the steerage deck were often horrible, with no bathroom facilities besides pots and pans. These horrible conditions caused many deaths due to unsanitary and cramped quarters. Gradual improvements to steerage class after the arrival of ocean liners led to its replacement by Third Class cabins. Still as the film “Titanic” reminds us that third class passengers were left to drown. The truth is they were evacuated more slowly, and there were anyway not enough life boats. In first class over a third of the men, almost all of the women and all the children survived. In second it was less than 10 per cent of the men, 84 per cent of the women and all the children. But in steerage 12 per cent of the men, 55 per cent of the women and less than one in three of the children survived. Interrogating the figures shows that – despite the strict “women and children first” policy – a greater proportion of first class men survived, than of third class children. Remember the perception that PAP says,”You die, yr problem”? Btw, where GCT, Ah Loong and the other aristocrats (natural, unnatural or whatever) lounge. I thought we are living in the 2015 not 1912. Cheers, anyway, cruise to nowhere also have premier lounge for high rollers. Since you are supposed to be very cynical, I believe very sadly one such cruise to nowhere also sank right here in Singapore almost 20 years ago . I didn’t talk about other cruise. Only PAP cruise. And I talked about “many people” not me.